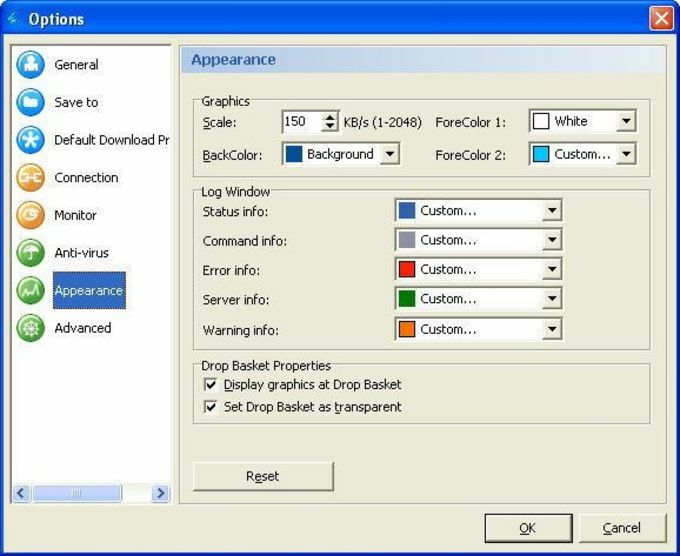 Gigaget is a helpful download and task manager where you can see, supervise, and manage all your downloads on your computer. This is especially useful for users who download large files on a daily basis. It has a neat interface that keeps your downloads organized and easy to monitor. There are a lot of things that can happen when you are downloading files. Gigaget will not only keep track of your download status but it will also help you identify what went wrong to your failed downloads. Progress is also being monitored closely and you will be able to see how fast a file is being downloaded and when and why it is slowing down. 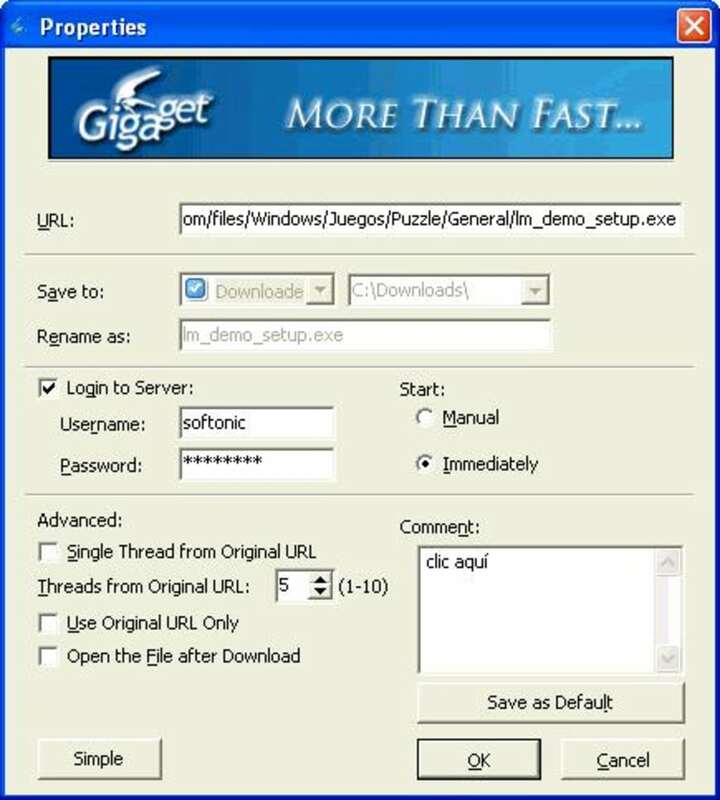 You can also conduct multiple downloads with Gigaget. All you need to do is to enter the URL of a website that contains different download links in its page. Batch downloading may be troublesome if you do them manually so I really appreciate that it is made possible through this application. It saves a lot of time and with a provided downloads list, you will be able to choose which files to prioritize since downloading many at a time can slow down the progress. You can select and pause other downloads in order to give way to those that are more important. All downloads in progress can be seen on the “Downloading” subfolder but all finished downloaded are transferred and sorted according to a different subfolder. The subfolders can be seen at the side of the screen and from there you will notice different subfolders for each download category. This is where your finished downloads are grouped into the following: Software, Game, Music, and Movie. The arrangement will help you find certain downloads easier and faster compared to when all your downloaded files are simply thrown in one big heap. Should you decide to stop and remove a download, whether after it is still in progress or already done, they will be moved on the very last subfolder, Recycle Bin. Just like a computer’s Recycle Bin, this folder will keep your deleted downloads temporarily for when you one day decide to recover them. Downloading multiple files or large files can take a long while. In some cases, downloads can take overnight and you really do not expect yourself to stay up and wait until the download is complete. The good news is, Gigaget will not let you suffer through long hours of waiting. It has the option to shut your computer down automatically for you once all your downloads are finished. Additionally, to make things easier for you, you can create your own subfolders and name it whatever you want. Gigaget is a very good and reliable downloads manager that does more than you expect it to do. It is flexible, easy to use, and very helpful in organizing and managing your downloaded files. Besides, Gigaget fundamentally reduces the operational cost of content providers, while dramatically improving downloading effectiveness and reach. Net Grid Technology taps the unused resources of networked PCs and servers, allowing content providers to deliver large files with faster speed and at a fraction of the cost of traditional solutions. *Easy on the Eyes - ahhh yes, it's gotta look as good as it can perform. Seriously this is the downloader for the whole family... to those who wish to tweak their folders, or just want to easily download to the big 'batch' folder of their choosing (and they can switch at any time). It's easy to understand, it's beautiful... in other words, Absolutely Amazing! Doesn't like Firefox's newest browser (therefore having to manual into the lil hover icon). What do you think about GigaGet? Do you recommend it? Why?